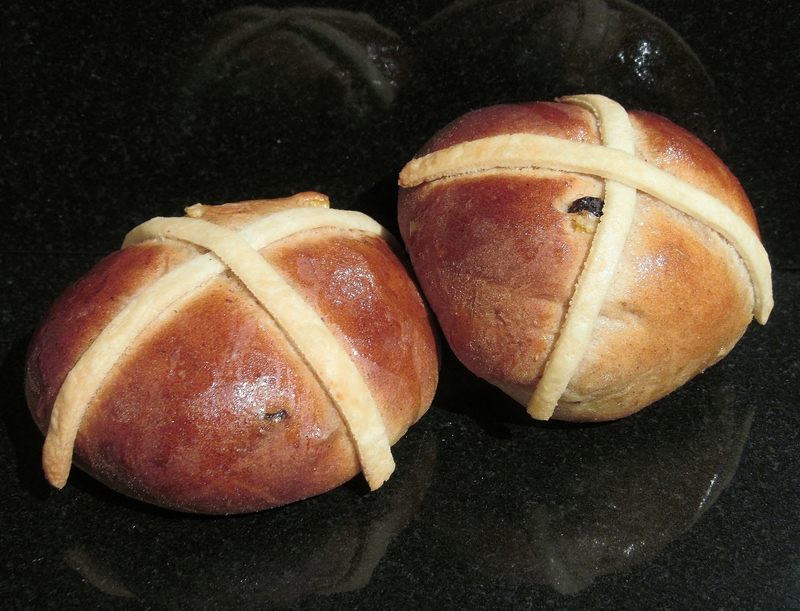 As promised, the Easter recipes begin here, and with hot cross buns. Yes I know it’s technically not the right time to make and eat them but any excuse for a bake! This bake has taken the longest of all my bakes so far, because it involved yeast and rising time so it took most of the day to do. The dough itself seemed easy enough to mix together and the 10 minutes of kneading it seemed to fly by and it’s very therapeutic taking out your frustrations on a piece of dough! I then needed to leave the dough to rise in a warm room – in our house, that’s not so easy but after looking on the internet, it recommended putting your oven on low, with the door open and rest the bowl on the open door which is what I did, and the kitchen felt cosy too. After an hour and a half, the dough had doubled in size and was ready for the next step. 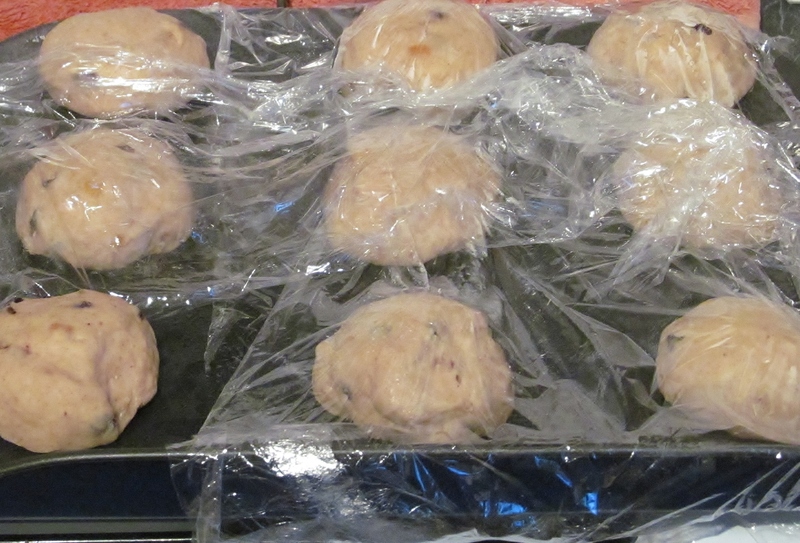 Mary then asks that you knead it again for several minutes then divide into 12 and place on a tray, and cover with clingfilm and leave to rise again for half an hour.Usually at this point, I find that Mary’s estimate of how many can be made out of a batch are often optimistic but on this occasion, I found that I had 16 hot cross buns! While the buns were rising again, I made the small amount of pastry needed to add the cross to the top of the buns, as I felt that just marking the top of the bun with a cross was not traditional enough. 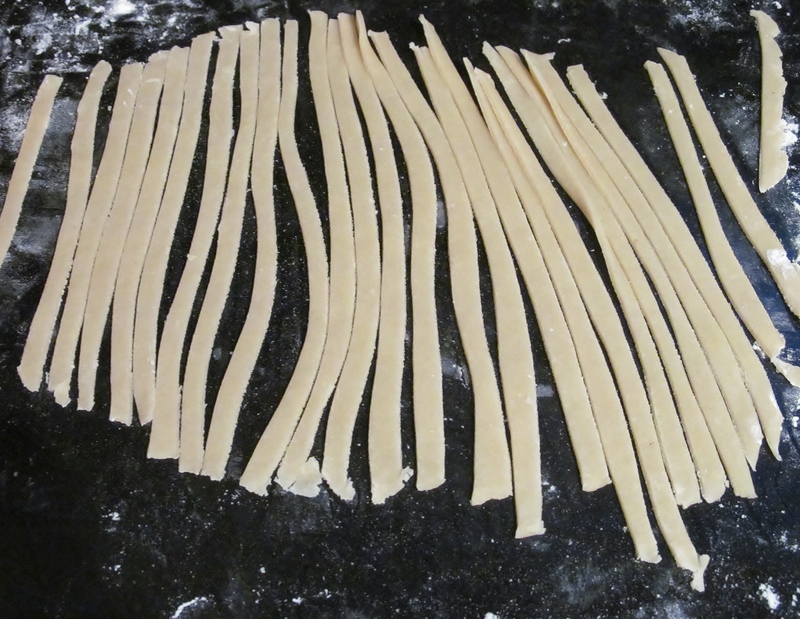 I then rolled the pastry out and cut it into strips ready to go on the buns. 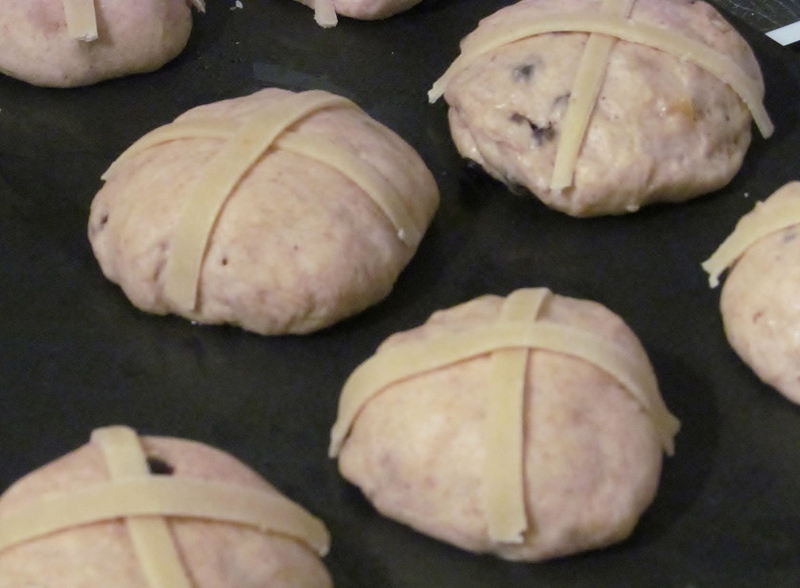 Finally, the buns were ready to have their cross, and then into the oven they went for 15 minutes. I set the timer and five minutes before they were rady, I made the glaze by dissolving sugar into water and when the buns came out, they had a liberal coating of the glaze. For my first foray into making buns with yeast, I was quite pleased with the way they turned out! 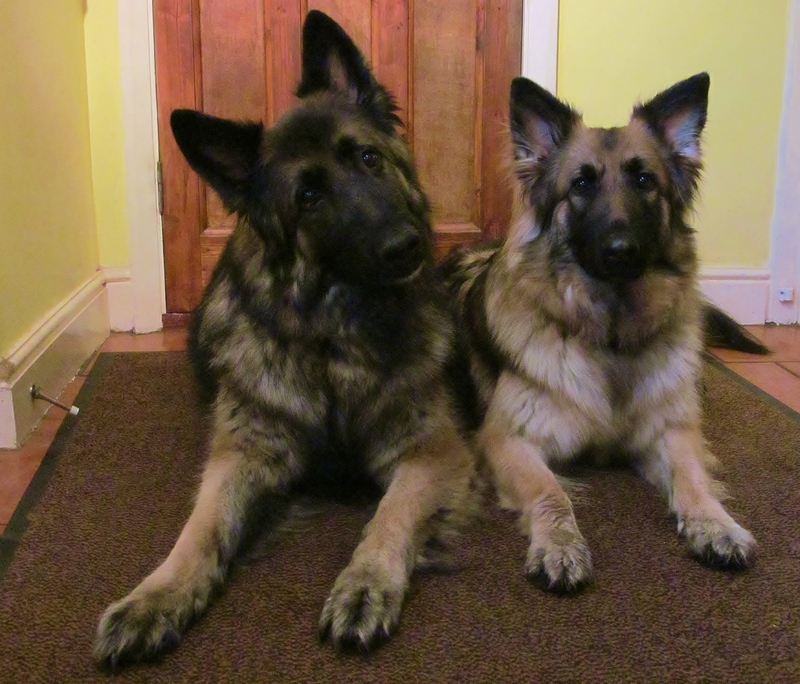 As you can see, my usual two baking fans were in their usual spot waiting to see if there were any left overs or anything dropped , but sorry guys, no dried fruit for you too, it’s like chocolate, very dangerous for dogs , so you can have a doggy treat instead today! 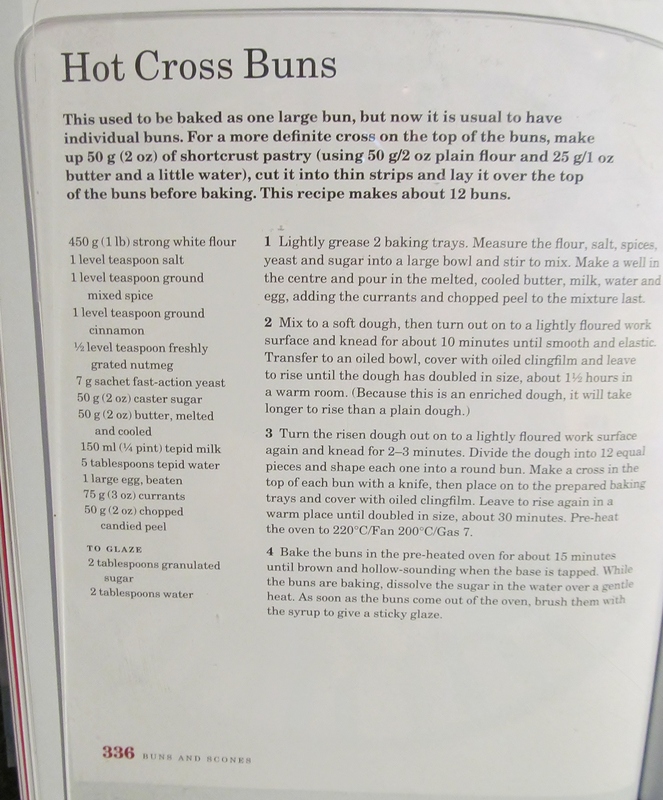 This entry was posted in Kim's cake challenge and tagged Bun, Cooking, Dough, Dried fruit, Easter, Good Friday, Hot cross bun, kims cake challenge, Mary Berry, yeast by kimsideas. Bookmark the permalink. Can’t wait to see what my wifey bakes next!!! Quite agree . Fab baker …………….from a dogs point of view. Heartless owner!! !